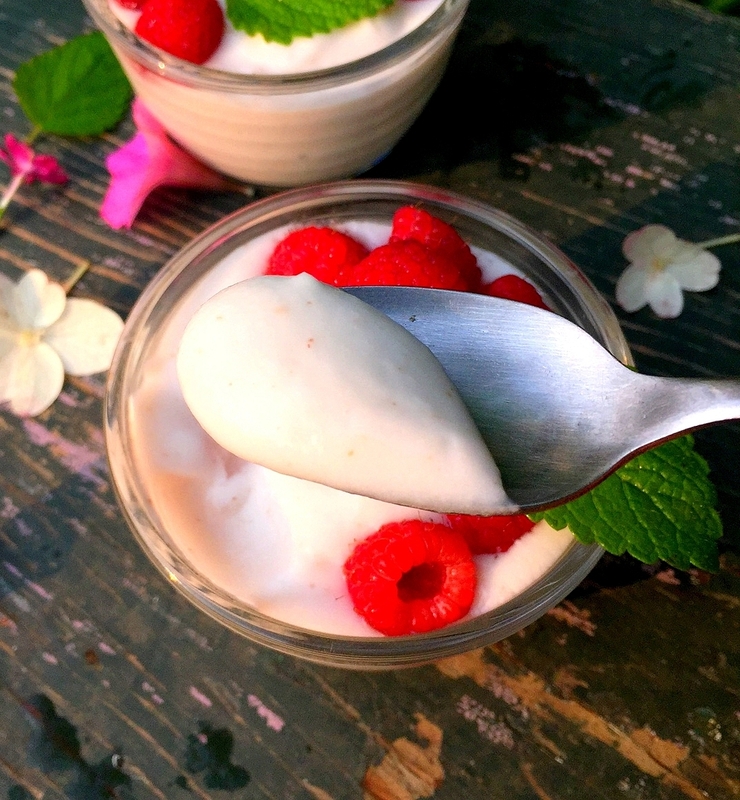 2 Ingredient Raw Coconut Pudding! Plus Exciting News for Feeding Your Beauty! Hello, hello, lovely friends! I wasn’t planning on posting anything else this weekend, with it being a holiday for us here, and many of you. However, I shared this quick recipe on Instagram the other day, and gabbed about some exciting news on Facebook, and decided I better come back here and share the goods with all of you too, just in case you’re not following FYB on Facebook and Instagram (It’d be awesome if you did though! 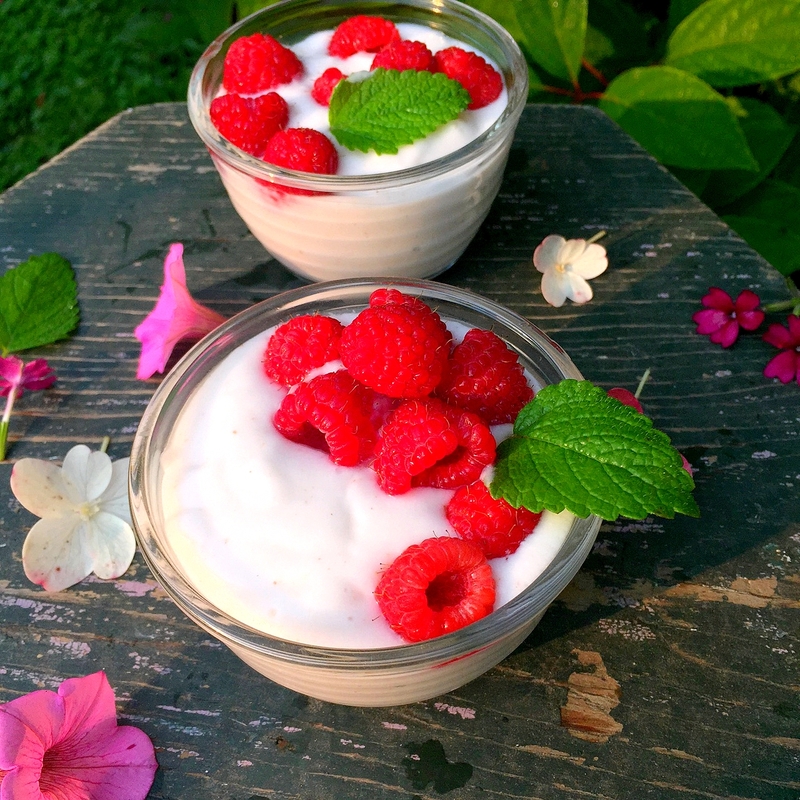 We can follow each other and talk about food and natural skin care, and you can get extra bonus-y recipes like this coconut pudding, and see some of my cooking flops… and we’ll be best friends, and ohh it’ll be fabulous!) Before I get to this luscious, absolutely dreamy coconut pudding, and before I write another run-on sentence riddled with parentheses, I want to share some news that’s got me just a little giddy. A couple of weeks ago, I was contacted by a staffer from One Green Planet about being part of their extended blogging community! Now, just a little background information if you aren’t familiar with their site… One Green Planet was launched in 2013 with the goal to “help create a world where we eat delicious food and use amazing products that provide us with maximum benefit and have minimum impact on the planet.” They are a quickly growing independent publishing site, with 6 million visitors every month. I’ve been huge fan of this site right from the beginning, especially its mind-boggling and drool-inducing array of healthy vegan recipes. They are also a great resource for animal rights and environmental news, tips on green living, diy natural beauty, as well as a serious distraction with all of their cute, feel-good animal stories (dogs rescuing babies, babies rescuing dogs, dogs and babies rescuing puppies and kittens…). Don’t feel like working/getting anything done for a couple of hours? Definitely go check out their site. You can find recipes for basically anything you’ve ever dreamed of eating, and many things you didn’t know you should be dreaming about eating, but definitely will be. Check out the One Green Planet Recipe Monster category –>here. I was thrilled to see two of my recipes go live on the site this past week. Most astonishing was seeing today that my Oven “Fried” Pickles received 1.2 k shares since Friday! What the what??! My Protein Veggie Crepes have reached almost 950 shares! For some this might be small beans, but for me, this is pretty big stuff! I have to thank YOU all, just for coming around each week and reading my rambling thoughts and entertaining some of my crazy flavor combinations. I may not have thousands of followers, but the followers I have are awesome, kind, and beautiful people, and I love interacting with you guys. BIG THANK YOU!!! Another little tidbit of news I have is in regards to the cookbook collaboration I participated in this summer. I’m not sure I’ve officially talked about it yet, besides a few teaser photos. I’m excited to say the cookbook, titled Vegan Friends and headed up by the great Anja Cass of Cooking with Plants, is in the final stages of editing! I will have much more to say about this in the near future once the book has gone to publishing, and I would love to do a giveaway of some kind. Stay tuned! Last but not least, and probably the most exciting for me, is all the feedback I’ve received about my latest face mask recipe. 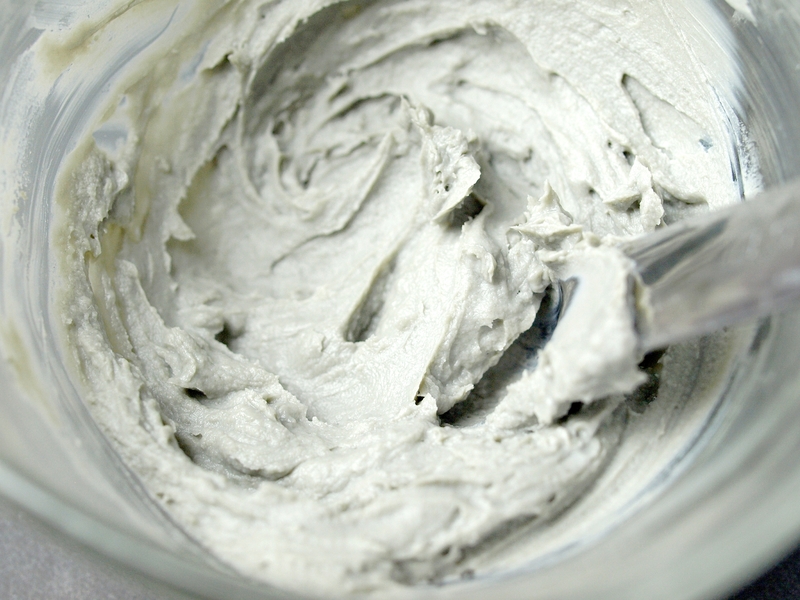 I have several face mask recipes under the “Beauty” tab, but I’ve received far more views, likes, emails, Facebook messages, and comments for my Bentonite Clay Dream Skin Mask than for any other beauty diy post I’ve done. People are loving it! This is my new secret weapon for great skin, and I’d love to hear how you liked it if you’ve given it a try. Check back on Tuesday (mah birrrrrthday! ), when I will make it super duper easy for you to try it for yourself and get gorgeous skin! Thank you for allowing me to share my excitement! In return, I’d like to share the simplest, most delicious pudding I have tasted in my life! Once you have the coconuts, and get them opened safely, the rest is just so easy peasy you won’t believe it. I was able to find young coconuts (Thai coconuts) at our regular grocery/superstore (Meijer, for those of you in the Great Lakes/Midwest region). I not only found them for the first time ever, but they were running a special, so I got them for under $2 each. A steal! I think you can also find Thai coconut meat in the freezer section at Whole Foods and maybe some health food stores, but it is quite pricey. If you can find the whole coconuts, I’d go that route. You will just need a few minutes of your time, a large sharp knife, and extreme caution. I found lots of good videos and tutorials online for safely cutting open a young coconut. Once you have your coconuts opened, pour the coconut water inside the shell into a large bowl. Then, using a metal spoon, scoop out the soft flesh and add to your blender. You do not need a high-speed blender for this recipe, a regular blender works fine. Start by adding 2 tbs of coconut water and begin blending on low, working up to high. Add more coconut water if necessary, but the less you use the thicker the pudding. Blend until smooth and thick. Top with fresh fruit and mint and eat right away or store in the fridge where it will thicken up a bit more. Notes: I found this to be delicious without any sweetener, it is naturally sweet and oh so coconut-y! You could, if you like, add some sweetener or vanilla extract, but definitely taste it first, you might decide to just enjoy its natural deliciousness.